It's shot beautifully, the characters are gorgeous, the costumes, visual effects, settings, and lighting are all amazing. But the story & the acting? Meh. I honestly felt no connection with any of these girls. I really wasn't worried if any of them got hurt or injured or killed - they were just kinda there to be lovely to look at. Yeah, they were pretty badass (they must have trained a lot to do everything they did - and had some great stunt people), but I really didn't believe that they cared about each other at all. Also the dialogue? What the heck? They were trying REALLY hard to make the movie deeper than it really was. Something about "you never know who your guardian angel will be..." blahblahblah. It made NO sense whatsoever with the plot, and the rest of the script was just plain boring. Even the "twist" at the end was boring. Ah, well. It was okay. There really were some pretty amazing fight scenes (I think the one with them fighting the robots in the train was my favorite)! The music was fun (mostly dark & rockin' cover songs), and it was kind of cool to watch. Here's a trailer for ya! I wanted to re-watch it, because I remember really liking it the first time around. The story is really well written, and the actors are really phenomenal. It had to be super challenging to film most of the movie in a teeny little elevator too, but it really added to the suspense (and created the feeling of anxiety in such a tight space). 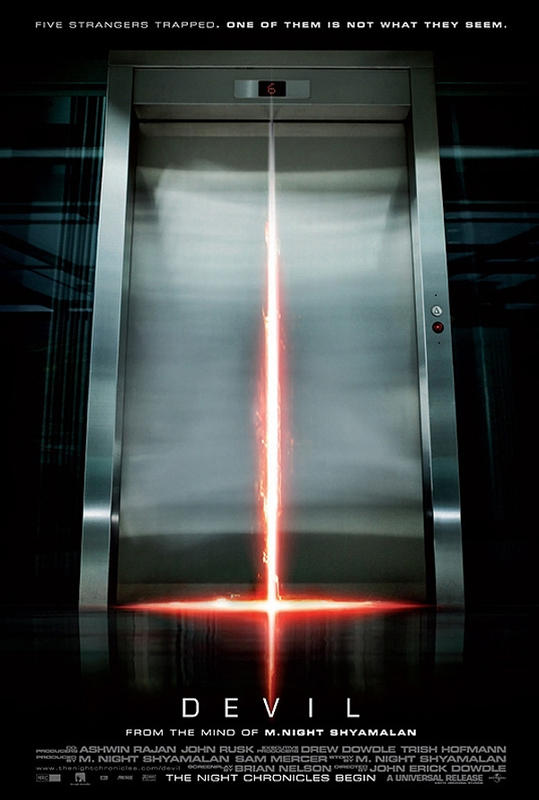 The first time I saw this film, I thought the storyline was really good, but in the end (the overall theme), was a bit cheesy. However the second time I watched it, I really appreciated it. It's very much about our ideas of God and the Devil, and I like the way that they comment on this with the film. Also, the suspense is fantastic!! It's damn scary - and very Hitchcock-esque in the way that they use what you CAN'T see to scare you even more that what you CAN see. It's very thrilling, and the little twists & turns were absolutely riveting. 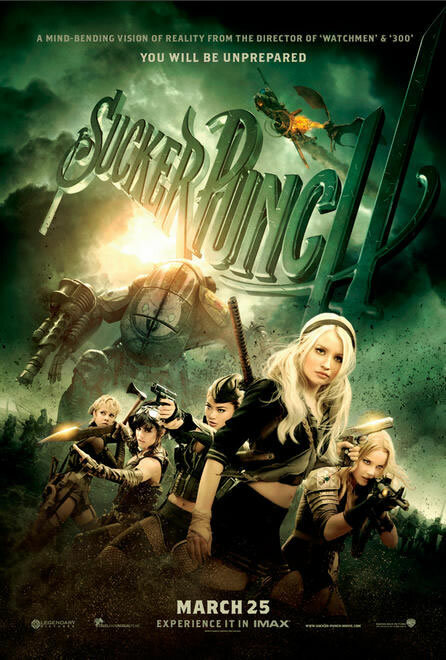 Unlike Sucker Punch (which went on wayyy longer than I thought it needed to), this movie was a short 1 hour 15 minutes - and just the right amount of time. It also had an excellent twist at the end which I totally did not see coming the first time around. I LOVE it when that happens! Click here to watch the trailer for Devil. Next up to watch from the library, Alien 3 (I only just watched Alien and Aliens last year - I know, I'm SO far behind), and Inglorious Basterds. I can't believe I haven't seen that movie yet! Spending Fast Update: 3 months down, 9 to go! A newfound love for Ramen! MY NEW AWESOME CAT-EYE GLASSES! Some birthday gifts for me! Spending Fast Update - 2 months down, 10 to go!